To evade taxes by transferring resources from Armenia to off-shore zones first of all reduces the country’s budgetary flows regardless of who owns that money. Hetq online newspaper previously reported that the name of Mihran Poghosyan, the head of the Justice Ministry’s powerful Service of Mandatory Execution of Judicial Acts (SMEJA), figured in the leaked confidential documents that provide detailed information about more than 200,000 Panamanian offshore companies. After the revelation the official submitted his resignation, which was followed by a criminal case filed by the Special Investigation Service (SIS) on his alleged illegal entrepreneurship. 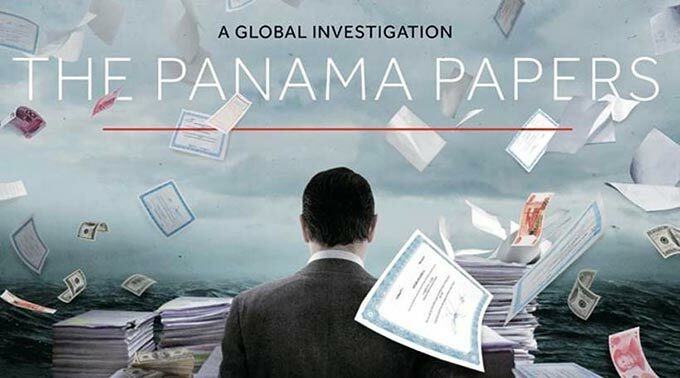 Besides Poghosyan, there were 37 more names of Armenian citizens in those documents including scholars, lawyers, and even relatives of criminal authorities, under whose names companies have been registered in the Bahamas and the British Virgin Islands, Panama or in other offshore zones. Most of them, by moving their funds to offshore zones, hide their identity and/or avoid taxes, says economic analyst Hayk Gevorgyan. “If hiding the identity of a person does not have much importance for us, concealing income is directly related to how we fill up the state budget. The money which is siphoned to offshore zones, should have been included in our state budget”, the economic analyst told RFE/RL’s Armenian Service. Gevorgyan’s words are in tune with the data of the Central Bank of Armenia published by Hetq, according to which, during the last 5 years, a total of $1.8 million was transferred to Panama, while only about $244,000 came back from Panama during the corresponding period of time. The analyst, however, believes that this is only a small part of the actual amount of money. “According to some analysis, as much as $10 billion got siphoned off Armenia over several years,” said Gevorgyan. Armenian authorities will also conduct probes in relation to other Armenian citizens, whose names have been included in Panamanian papers, said Vahram Baghdasaryan, the head of the Republican faction, adding that there is no need to hurry. “You can already see that there are responses. If there are names, probes will be carried out in relation to these names. No need for assumptions,” said the official.